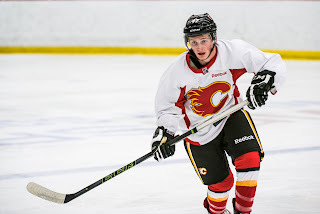 Back for more fun at Flames development camp on Wednesday, here were some of the highlights and more so, what some of the players had to say. Development camp did briefly take a backseat when new Flames head coach Glen Gulutzan stopped by to unveil his two new assistant coaches, which rounds out his staff for 2016-17. Joining assistant coach Martin Gelinas, video coach Jamie Pringle and goalie coach Jordan Sigalet are two more assistant coaches in Dave Cameron and Paul Jerrard. Cameron, 57, has spend the past five years with the Ottawa Senators. After three-and-a-half years as an assistant, he took over for Paul MacLean as head coach in 2014-15 and remained in that role until being dismissed at the end of last season. An area Cameron will be involved in is the power play. Gulutzan talked positively about the Senators power play while he was in charge of it and working closely with MacLean, who is thought of as a strong power play guy. 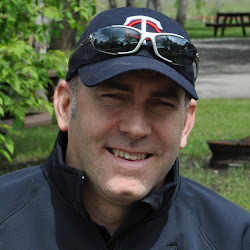 Jerrard, 51, worked under Gulutzan in Dallas as well as in the AHL with Texas. He has spent the last three years as an assistant coach in Utica, the AHL affiliate for the Canucks where Gulutzan was serving as an assistant coach. “Obviously I've worked with Paul but at the end of the day, he comes highly qualified,” said Gulutzan. Dallas ranked 13th and 17th on the PK during the time Jerrard looked after it. His penalty kill while in the AHL was reputed to be one of the best in the league. 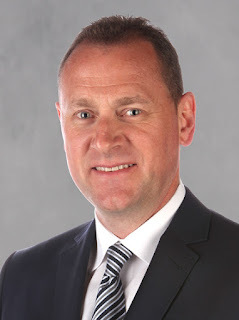 Gulutzan noted that both guys were on the list of coaches he would consider hiring he submitted to general manager Brad Treliving during his own interview process. From that list, Gulutzan then worked feverishly to interview everyone before making his choices. Gelinas remains very much a part of the staff but moving forward will be the ‘eye in the sky’ working out of the press box, a role growing in importance the frequency of video reviews that go on now. Gulutzan also emphasized the importance of having the perspective of a former player on his staff and that he is already relying heavily on Gelinas to run ideas past. “Joe Nieuwendyk called me when I got hired and he said Martin Gelinas is one of the best people I've ever played with in the NHL. Joe's played with a lot of guys. They give you that player insight into certain things. Sometimes as a coach, you get wired into going one way and they say, you know what, maybe this is better for our guys at this time." @DarrenWHaynes gelinas In charge of instant replay is irony at its most painful . Had a nice visit with Matthew Phillips on Wednesday, who is about the most polite kid you'd ever want to meet. Plus, at 5-foot-6 and 145 pounds, seeing him stand around afterwards at the end of the rink with his shorts, sandals and backpack, you'd think he was there seeking autographs, not giving them. He said it sunk in last year that getting drafted into the NHL is something that could really happen. In his first year in the WHL, he was leading rookie scorer with Victoria with an impressive 37-39-76 in 72 games. Joining the Royals after playing midget for the Buffaloes, he wasn't sure what to expect going into the year. "First and foremost, I just wanted to make the team," he said. "Lucky enough, I filed into the line-up and when I found some success a month into the year and we got rolling, then the team started playing a lot better. From there, it just snowballed." His coach was ex-Flame Dave Lowry, who he knew from before. In minor hockey in Calgary while playing for the community association of Bow Valley, he spent one season playing on the same team as Lowry's daughter, who is the same age as him. He remembers that winter well as the team often went over to the Lowry house in the community of McKenzie and played hockey on the lake. "I got extremely lucky to go to Victoria. There's a lot of great people and Dave's one of them for sure. He's believed in me from day one," said Phillips. "He definitely pushes that if you can play, you can play, it doesn't matter how old you are or how big you are." Phillips says he is expecting a lot of friends and family to be out on Thursday to watch the scrimmage, which goes at 9:30 am and will wrap up the four-day camp. Hard to know from an outsider's perspective if he's done enough and what the coaches/management have seen but there's no denying that Brayden Burke, in camp on an invite, is pretty smooth with the puck. Passed over in the NHL draft for the second time in June, despite the Lethbridge Hurricanes centre being tied for the WHL lead in assists with 82, he showed that he is pretty slick with the feeds whenever I caught him doing line rushes. In one two-on-one in which he pulled the defenceman badly out of position then threaded a pass onto the tape of Tim Harrison at the side of the net for a tap-in, it was eyebrow-raising stuff. Even Harrison made a point of coming over right afterwards, tapping Burke on the shins and saying 'great pass'. While seven of the 10 players in camp on a try-out have been in the second group, Burke has been in the first group with many of the returning prospects. We'll learn on Thursday potentially, or if not then, later on in the summer, if any of the invitees have done enough to earn an invite back to Flames rookie camp in September. 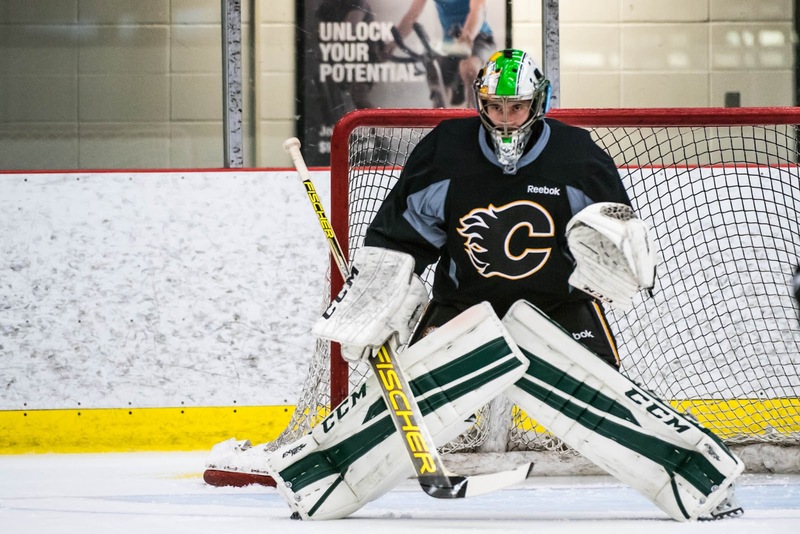 After Jon Gillies departed the ice halfway through the first skills session for reasons I'm not aware of, that left 2014 second rounder Mason McDonald and 23-year-old Czech goaltender David Rittich in net and it was definitely the new guy that caught my eye. "You're always a little nervous when you make a decision on a guy, watching him on video," said Jordan Sigalet, who was involved in the decision this spring to sign Rittich and bring him to North America. "We had some scouts that saw him live and said you know what, I think there's something there. Pretty much from the mid-part of our season until the end, I started watching his games and everything I saw about him impressed me. But you are nervous about how it's going to translate when he comes over here." No need to be nervous anymore. He's just as big, quick and acrobatic as he looked on video. In fact, he looked even better. "He's been nothing but impressive since he got here," said Sigalet, who was on the ice Wednesday to help out. "We had a good interview process with him, with his agent, and we liked the kid. He's very hungry as well. His goal is to come here and eventually win a Stanley Cup. You can hear in his voice how bad he wants it." Sigalet says he reminds him of Andrei Vasilevskiy in Tampa Bay. "Similar style. Big kid that plays really low and is really quick laterally. I know it's early but it's pretty exciting right now how he's been the first couple of days." He even fashioned a lightning-quick poke check that surprised an unsuspecting forward as he broke in alone. "He's really active with his stick. That's just part of his compete level. He wants to come over here and get better and learn more," continued Sigalet. "He said the biggest adjustment for him will be obviously the smaller ice, Plays are going to happen quicker but I don't think it's going to be a big adjustment for him with his speed and the way he reads the plays." While he doesn't speak very good English, it hasn't stopped him from feeling at home with the guys. Just watching his body language while in net and how he interacts with players, you can tell he's enjoying himself. "He's got a great personality, he's always smiling, he's fun to be around," said Sigalet. Adam Fox continues to impress. The 5-foot-10 New York-born defender was the Flames third round pick last month. Given the offensive production he put up last year for the U.S.A. National Team Development Program last year, setting a record, and then being named best defenceman at the U18 World Championships, he looks to be a quite a coup for the Flames. 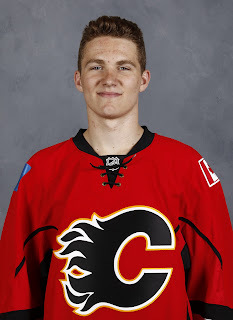 Different player as he's stockier in build and four inches shorter, but his situation reminds me of when the Flames plucked Brandon Hickey in the third round in the 2014 draft and in no time, it was quickly regarded as a steal. One curiosity I had was how he would match up in trying to fend off big power forwards like Matthew Tkachuk and Eetu Tuulola but turns out, no real issue. He has talked about his quick stick as being one of his key equalizers defensively and I saw it watching battle drills when they went against each other out of a corner. Fox seems very adept at getting in there with a good stick and knocking the puck away or breaking up a pass attempt. 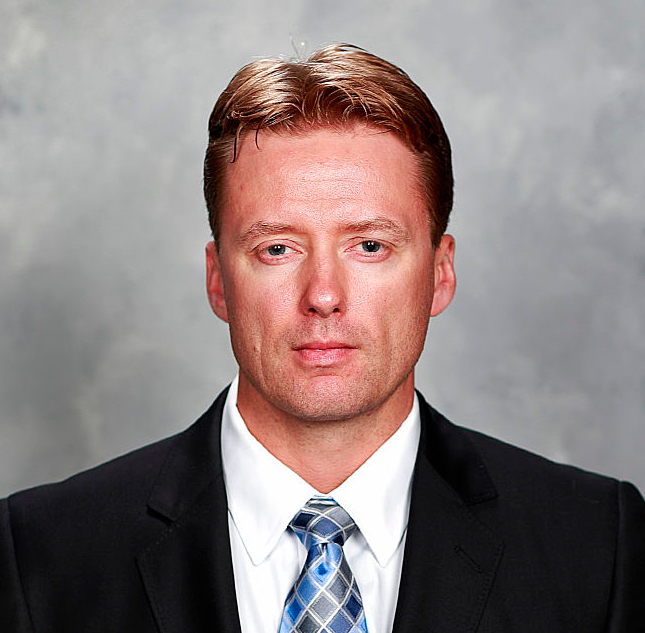 Meanwhile, off the ice, he looks remarkably like Leafs head coach Mike Babcock. Seriously, it's eerie. And now that I've mentioned it, look for it next time he's interviewed and in your mind, you might even start hearing Babcock's voice! Off to Harvard in September to begin a collegiate career, it will be interesting to chart his progress and see if he eventually ends up with a resume that mirrors Hickey, who is heading back to Boston University for his third year, although I'd fully expect him to turn pro a year from now. If that was the case and by that math, Fox could still be four or five years away from the NHL after you add in some AHL time, but he could be well worth the wait. 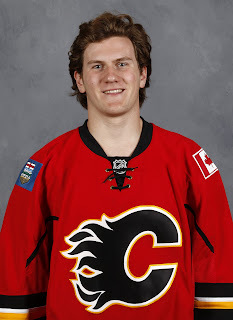 In some ways, a forgotten guy in that he's in the second of the groups that is comprised of the less-familiar names and most of the guys on tryouts, 2016 first rounder Matthew Tkachuk continues to go about his business. You can see the skill, you can see the smarts and you can see his drive. He is pumped to be member of the Flames. "It's the way the roster is set up, it's the way the city supports their team, it's the way management wants to build their team. I think I was the player that was perfect for this team," he said. "My skill set and Brad always talks about wanting a competitive team and I'm a competitive player and that's my best strength as a player." He's using this week as a good first step, to set himself up for a strong rookie camp in September. "Proving myself in training camp is all that's on my mind right now. Playing to my strengths and making the players around me better because I know the NHL, especially the Calgary Flames, is full of so many great players that are going to make me better so it's my job to do the same to them." Meanwhile, he is loving the experience this week. "All eyes are on you," he said. "You just want to show them that you're deserving of what you've gotten so far but you also want to try and impress them. The draft, that's behind me, now all I'm focused on is trying to turn heads and trying to be prepared for training camp." 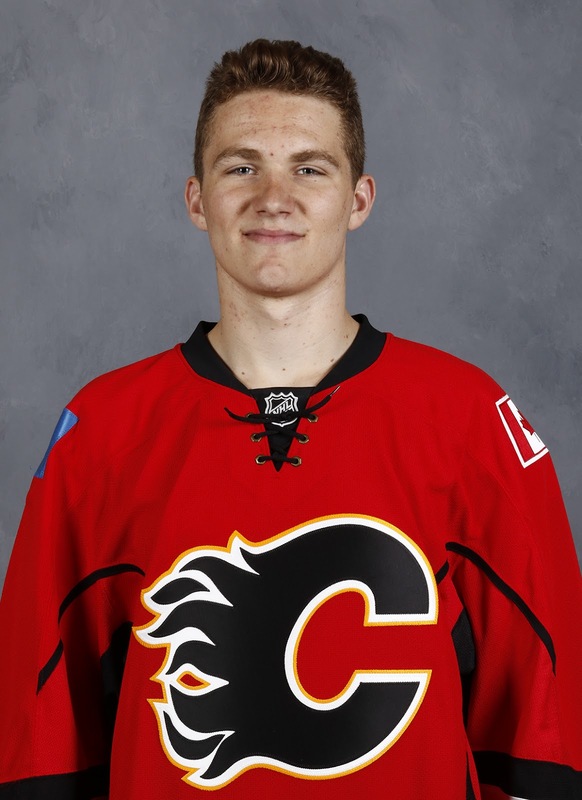 Once he returns home to Toronto, Tkachuk works out with noted trainer and ex-Flame Gary Roberts. One of the Flames more fascinating picks in the draft was sixth rounder Eetu Tuulola. 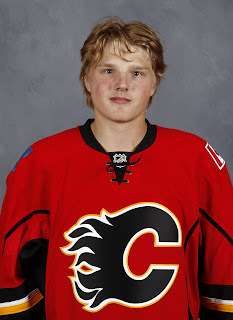 The Finnish right winger is a solidly-built lad at 6-foot-3, 225 pounds, who compares his playing style to Milan Lucic. You could see that edge come out in the practice session when twice in a row he failed to get shots off on a one-on-one rush. The first time, when the puck was poked off his stick by the defenceman, he slammed the boards with his stick. Next time up when he mishandled the puck, he looked visibly angered as he let an expletive fly. Seems there are some words that are universal, regardless of your native tongue. He’s got lots of work to do with his skating but he is an interesting project. Drafted by Everett in the recent CHL import draft, it is not certain yet where he’ll play next season. 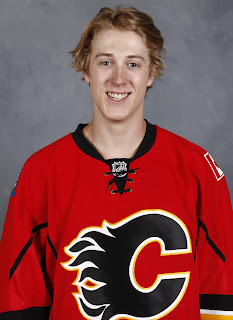 Either he’ll come over to play in the WHL with Everett, in which case he’ll be at the Flames rookie camp. Or, if he remains in Finland – last year playing for HPK – then we won’t see Tuulola again until next July -- or at the World Juniors. Playing for Finland at the U18 World Championships in May, he had four points (2 goals, 2 assists) in seven games. “I've been thinking about this a lot. We'll see what I choose,” he said with a polite smile, remaining tight-lipped over which way he’s leaning. So far, he’s enjoyed the camp, which is just his second time in Canada. The first time was for the U17 World Championships held the a year ago in Ontario. Participating in the power skating sessions only and not the skill sessions due to recent surgery on his hand, 6-foot-7 Riley Bruce has been watching the action closely from rinkside. As an OHL defenceman with North Bay, the Flames 2015 seventh round pick has also had a good view of top prospects Andrew Mangiapane and Matthew Tkachuk. "I played against (Mangiapane) quite a bit. You just have to angle him out to the corner because he's a dangerous player if he gets into the slot," said Bruce. Bruce faced Mangiapane in the playoffs in April. He said going against him was a little bit different this year as opposed to past years given they're now part of the same NHL organization. "It's always fun to play against guys you know. You want to beat them that much more," he said with a smile. 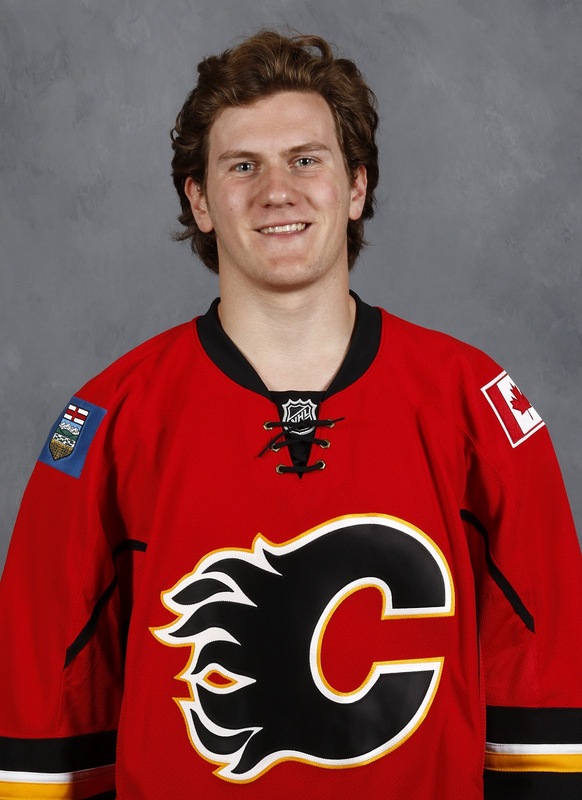 As for Tkachuk, he acknowledged that he can be a handful to contend with. "Really dangerous. Has a good shot so you have to contain him the best you can, angle him out and get him along the boards and cut him off," said Bruce. "He's definitely strong on his feet and he's definitely a very skilled player." He said that London top line with Tkachuk, Mitch Marner and Christian Dvorak was a real load. "He's definitely a real smart player. Playing with Marner and Dvorak, those three guys have that hockey IQ, they see the ice so well and they find each other and make some ridiculous plays." Bruce is not yet old enough to play in the AHL so he will be back in the OHL again this season where last year he wore a letter as alternate captain. "It was awesome to be in that leadership position," he said. "I look forward to that continuing and this year having an even a bigger role on that team, I'll have to step up my game even more." Darren, how long do the Flames have to sign Burke? I thought that they need to sign him at the Development Camp or any other team can sign him to a contract. Burke is free to sign with any team right now. Keep in mind that teams all have their own Burke-like players at their development camps and at this time of year, they're more evaluating their own then looking to poach from another team. The GM said a couple of the guys at dev camp on try-outs could be back in Sept but not sure whether that includes Burke or not. I do know Burke was on the Flames draft watch list when the draft ended so they do like him. We'll see.